We pride ourself on helping you design the perfect room - no matter what the obstacles might be. 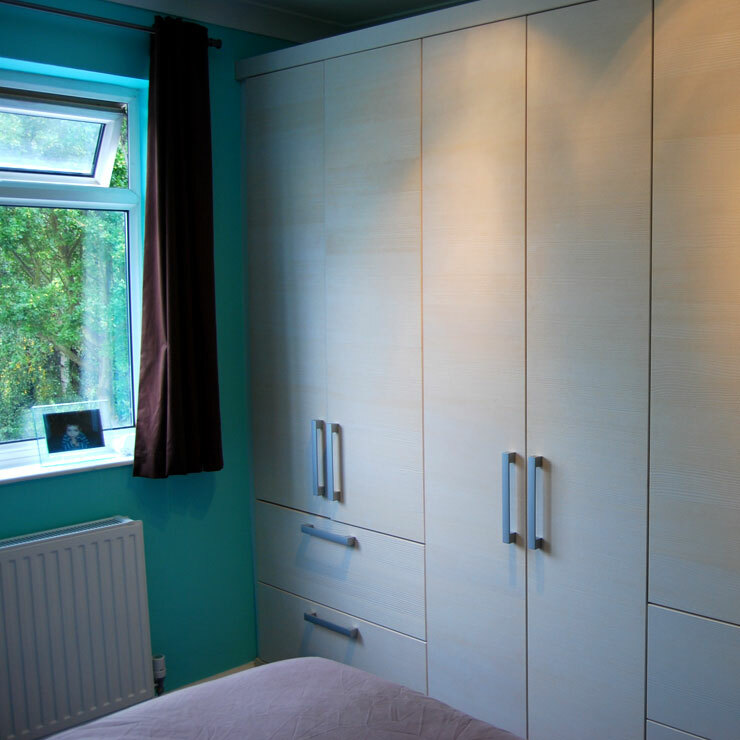 Our example to the left illustrates how we take a fresh approach to design, in this case subtly integrating a door into an en-suite bathroom to make the most of the available bedroom space for wardrobe storage. Why not call us and see what solutions we can create for your space.